My question to the Gorilla Glass folk: when is Apple going to call? I had a brief chat with Corning, makers of Gorilla Glass, who were showing their wares at Mobile World Congress in Barcelona. Gorilla Glass is exceptionally strong and makes sense for expensive devices with glass screens – like many of the smartphones and tablets that are hot right now. Ion exchange is a chemical strengthening process where large ions are “stuffed” into the glass surface, creating a state of compression. Gorilla Glass is specially designed to maximize this behavior. The glass is placed in a hot bath of molten salt at a temperature of approximately 400°C. Smaller sodium ions leave the glass, and larger potassium ions from the salt bath replace them. These larger ions take up more room and are pressed together when the glass cools, producing a layer of compressive stress on the surface of the glass. Gorilla Glass’s special composition enables the potassium ions to diffuse far into the surface, creating high compressive stress deep into the glass. This layer of compression creates a surface that is more resistant to damage from everyday use. Fair enough; and I am a fan because it works. My question though: when is Apple going to call? 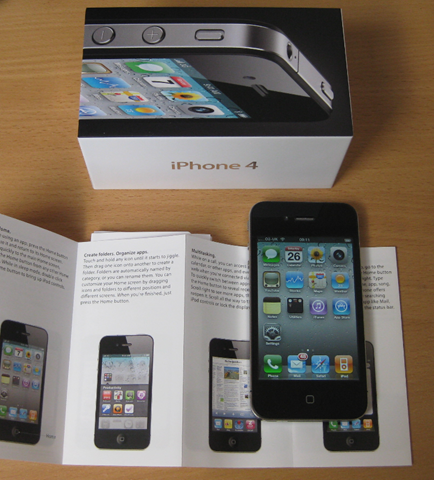 The iPhone 4 has glass panels both front and rear, and is unfortunately rather fragile. I would be interested to know what proportion of damaged iPhones simply have shattered glass. One drop onto a hard surface is all it takes, unless you have a protective case that adds bulk and in my view spoils the design. Apple’s Bumper case fixes the problem with the antenna design, but does little to protect the glass. It slipped off my lap in a bar in the Portland airport during a particularly long layover. It landed screen-side down on the uneven Mexican tile floor and made a sound that caused the whole room to go quiet. I still feel a little sick just remembering it. It looked a lot like the ones people purposely ran over with trucks when I picked it up. From what I can tell, Gorilla Glass really is better in this respect.